I donâ€™t know about you, but Iâ€™m so ready for Spring. So far March has been really cold here and tonight / tomorrow weâ€™re supposed to have some snow. Today in our state we had a tornado drill and I thought that would be a good time to start a series on being prepared in your tutor business. We live in a world where different kinds of emergencies can happen at any time. Today weâ€™re going to talk about some things youâ€™ll want to make sure you have in place, in the days ahead weâ€™ll talk some more about specific emergencies. Most of these suggestions apply to you if you tutor in your home or have a separate office. If you travel to your students, some of these still apply. Talk to your insurance agent â€“ make sure they know youâ€™re conducting business and check into any type of additional coverage you may need. This is an added expense, but it may save you a whole lot of money in the long run. Also make sure you have an accurate inventory of things in your home / office with copies of receipts and video or photographic evidence. I mention that because one of our friends had a fire in their home and they had a really rough time getting some of their things replaced. Be weather aware. In the spring there is an increase possibility of severe weather. Youâ€™ll want to make sure you know if any storms may happen. Youâ€™ll also want to get a weather radio, keep it on and make sure it has a battery. Get a First Aid kit. You can find them at Amazon for less than $25.00. 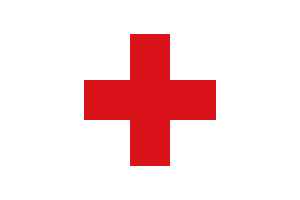 Take a Basic Lifesaving Course at your local Red Cross or medical facility. Learning CPR takes an afternoon. If you have employees make sure they have this training as well. Weâ€™ll talk some more about weather emergencies on Thursday, till then we hope you have a wonderful day.